German theatre has a long tradition at the German Department. Some of you may still remember our last production of Georg Büchner’s Woyzeck from two years ago. 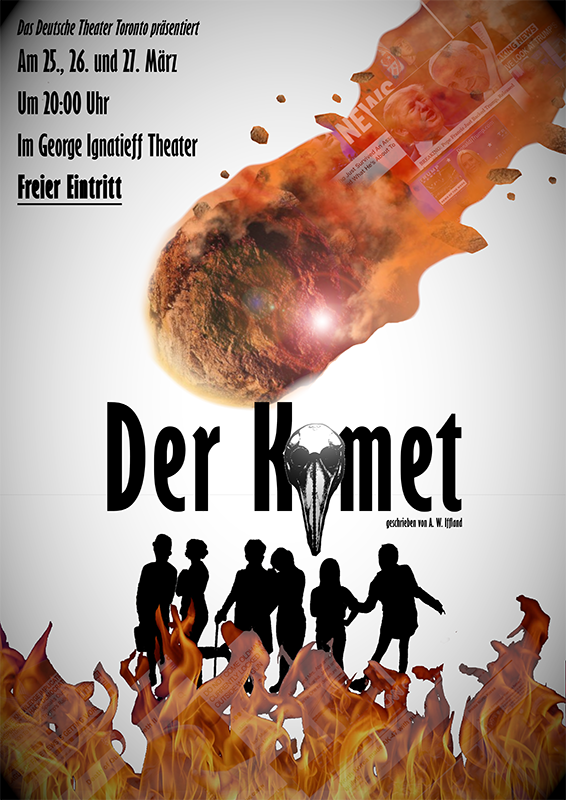 This time we present to you August Wilhelm Iffland’s Der Komet. Iffland was a contemporary of Goethe and Schiller, and highly regarded by both of them. On the surface, his play is about a cosmic threat, a comet that appears to be approaching the earth (Iffland was born in 1759, the very year Halley’s Comet made its first mathematically predicted appearances, causing quite a bit of Endzeitstimmung.) But deeper down the play is a farce about charlatans and human folly – and these are topics just as relevant today as they were over 200 years ago when the play was first staged. The performance lasts around sixty minutes, and the entry is free (donations are welcome). 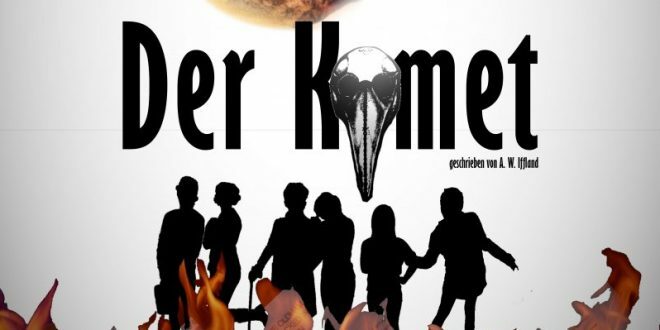 The play is entirely in German, but don’t you worry: To make your experience as enjoyable as possible, we designed a fabulous handout for the Gemanically challenged, and there is also a program available with an English synopsis of plot.